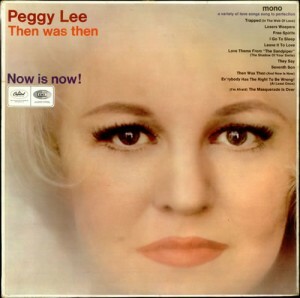 Peggy Lee and Cy Coleman wrote this song together; Peggy Lee released it on an album of the same name in 1965. “Then Was Then and Now is Now” was recorded on February 18, 1965 and released in 1965 on the album If I Ruled the World: Songs for the Jet Set. It was arranged by Don Costa.